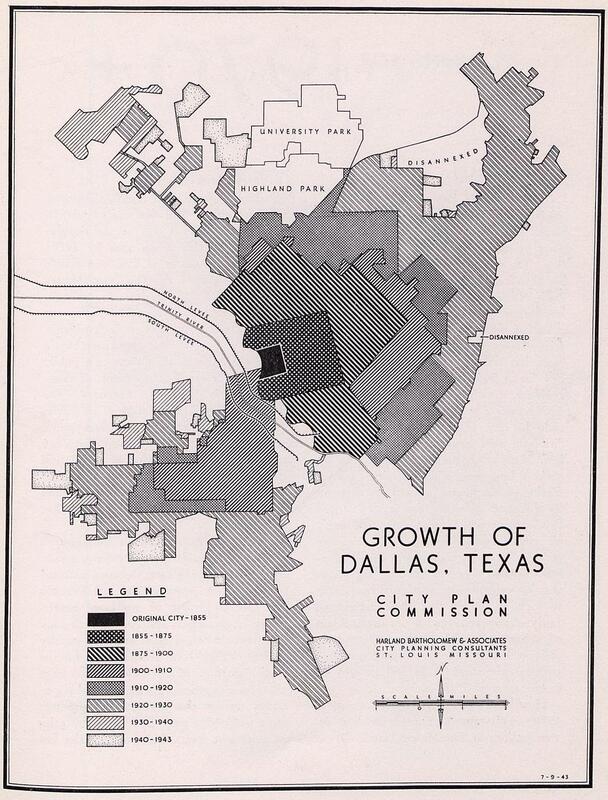 Harland Bartholomew, a St. Louis urban planner and civil engineer, was asked by the City of Dallas in 1943 to prepare a master plan for Dallas which would address the needs of the city’s post-war growth and livability. As then-mayor Woodall Rodgers said, “We need another Kessler Plan and have waited long enough to start. We want to be ready to put Dallas ahead when the war is over and we will have great opportunities to put a master plan in effect” (Dallas Morning News, April 1, 1943). 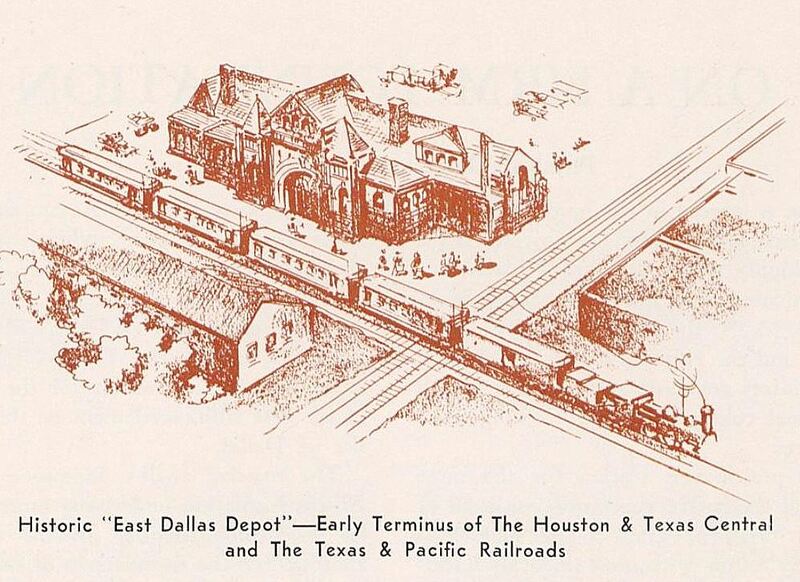 The old Union Depot at the edge of Deep Ellum, demolished in 1935. There is much more in this interesting report, including quite a bit of good historical information on the development and growth of Dallas. 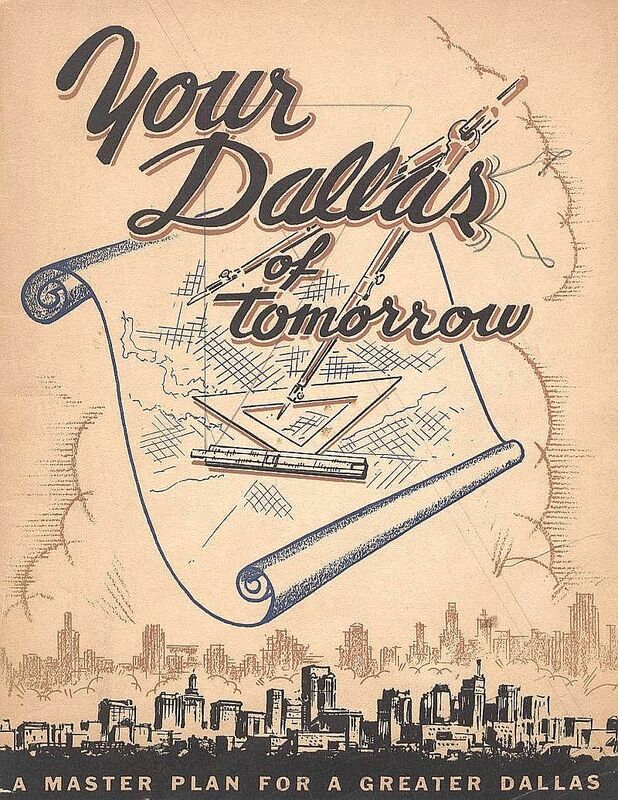 All images from “Your Dallas of Tomorrow, A Master Plan for Dallas, Texas,” prepared by Harland Bartholomew and Associates of St. Louis, Missouri in September, 1943. 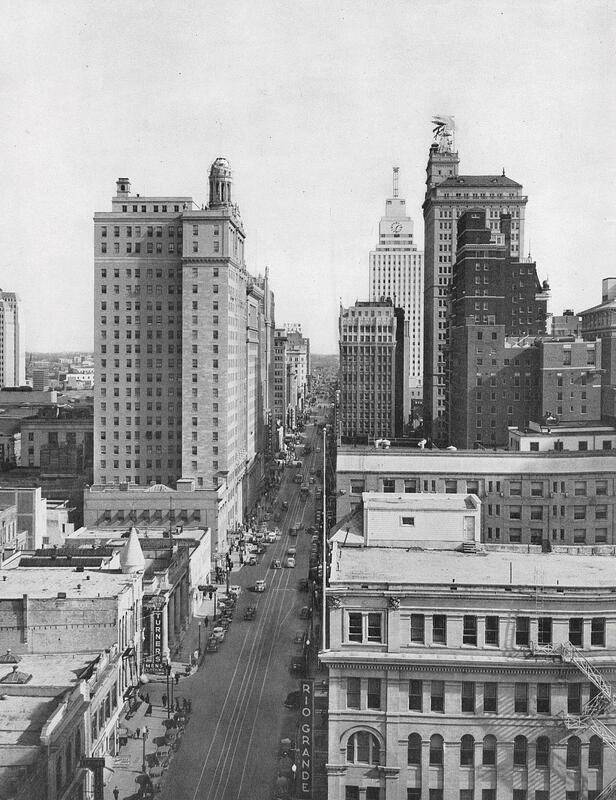 Booklet from the Dallas Municipal Archives, accessible on the Portal to Texas History, here. The report above was the first one issued — and it was the most glitzy. The ones that followed were more down-to-business. Some of the plans were implemented, some were not. See all of the reports of the master plan prepared by Bartholomew and Associates — issued between 1943 and 1946 — here. If you like maps, this link has your name all over it!